Low Floor, East end, Gulf front 3 bedroom condo with two master suites opening on to a 10' x 44' wide balcony for stunning gulf views. Rental income exceeds $70K! 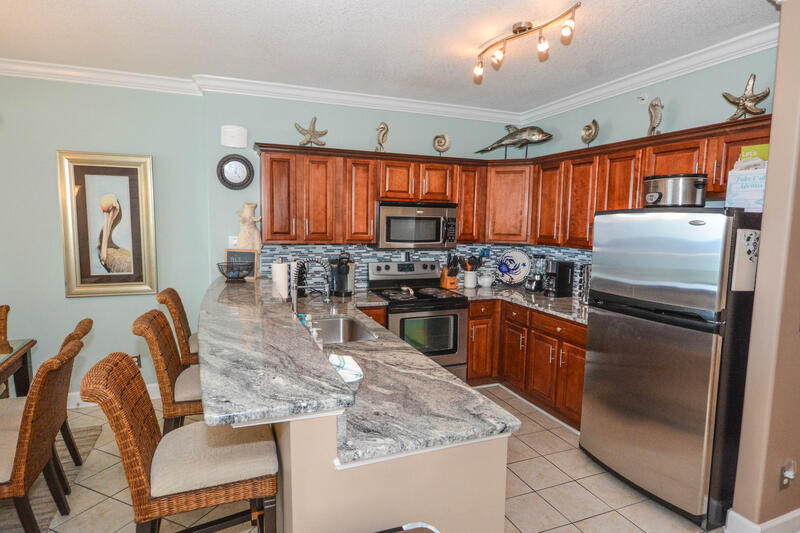 This spacious 3 bedroom condo is ideally located at the quiet, West end of Panama City Beach just a short drive to Hwy 30A, Pier Park, with its hundreds of shops, restaurants and entertainment and the Airport. The kitchen has been upgraded with a beautiful tiled backsplash, stainless steel appliances and cherry wood cabinets. The balcony offers amazing East end views plus and has been recently tiled for low maintenance. The AC and water heater were replaced in 2016. This upgraded and unique condo is a rental machine with years of strong rental history.